NOTE: This content requires the base game Anno 1800 in order to play. Navigate the landscape and political arena of the Industrial Revolution in your quest to build the greatest empire. The DLC bundle includes the Anno 1602 Memorial, the Imperial Train and more exclusive goodies. Enjoy all-new features, campaigns and multiplayer modes that enriches the Anno franchise's tradition. What's included with Anno 1800 DLC? Anno 1602 Memorial: Celebrate the 20th anniversary of the franchise with an iconic Anno 1602 statue and increase your city’s cultural value. Imperial Train: Stand out with this richly decorated model, and travel the railroads like no one else. Imperial Command Ship: An exclusive starter ship to make a remarkable entry into the game. 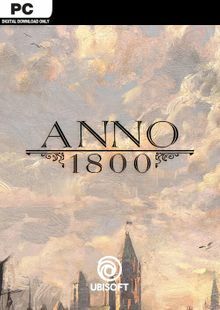 Is there any region lock for Anno 1800 DLC? Yes, this product is only available in Europe. How will I receive my instant download for Anno 1800 DLC? Open the uPlay Client and log into your account. From there, click the "Key" icon on the top-right. This opens the "Activate A Product" option. Paste in your product key and click "Activate". Once activated, the game will automatically be added to your library, ready to download and enjoy. Prove your skill as a ruler as you create huge metropolises, plan logistic networks, send out expeditions across the globe and dominate your opponents through trade, warfare or diplomacy. Anno 1800 is a rich city-building experience spread across single-player campaigns, multiplayer modes or a highly customizable sandbox mode. Enjoy beloved features such as AI opponents, shippable trade goods, randomly generated maps and more. Establish production chains, build a profitable network of trade routes and engage in diplomacy with other AI leaders to establish your empire as the greatest of all. 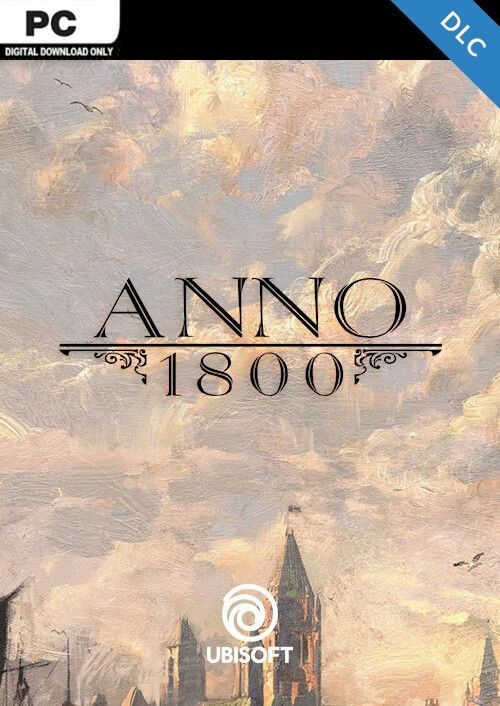 Want to get a free key to play Anno 1800 DLC? What are the system requirements for Anno 1800 DLC?